Head'n Out is the solution to the problem of stripped screws and worn out tool tips. 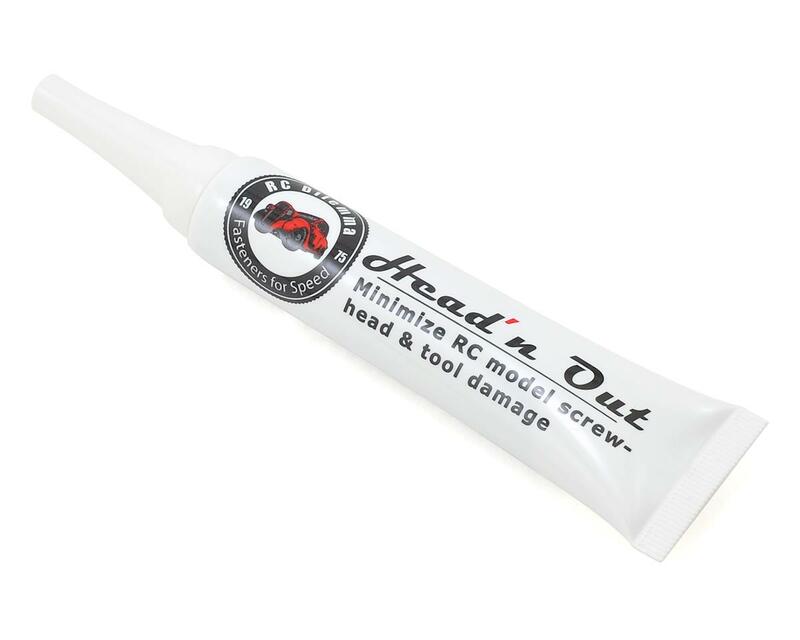 A unique product formulated for the RC model industry, Head'n Out creates a substantially positive grip between the metal surface of the fastener head and the tip of the tool, increasing the grip strength by as much as 700%, preventing driver slip, reducing tool wear, round out, excess muscle strain and potential injuries. Apply Head'n Out to the head of fasteners or directly to the tip of your tool. Product dramatically increases the surface contact ratio between tool and screw head by filling in almost every gap (on a microscopic level) with a specially formulated blend of microcrystalline agents and secret ingredients that's just the right consistency and keeps everything in full suspension. The filling agents do not drop out of the gel so it's almost always ready to use instantaneously. Helps reduce driver hand fatigue while working on difficult to remove fasteners. Basic instructions are simple: Use the formula inside of the tube and place it on the tip of the screw head where your tool will ultimately connect to it. The material in this formula safely fills in the gaps between tool and socket head thus preventing additional wear and slippage and will make best possible contact for user to remove or insert fasteners. Wipe clean or use swab to remove if desired when done.